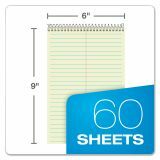 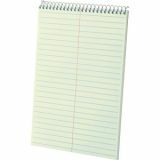 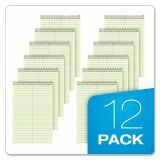 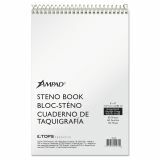 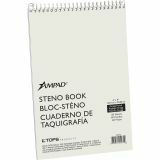 Ampad WireLock Steno Book, Gregg, Tan Cover, 15lb Green Tint Paper, 60 Pages - Steno notebook contains 15 lb. 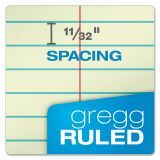 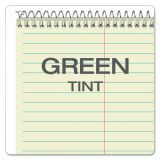 green tinted paper that is Gregg-ruled with 11/32 spacings and center ruling for segregating notes. 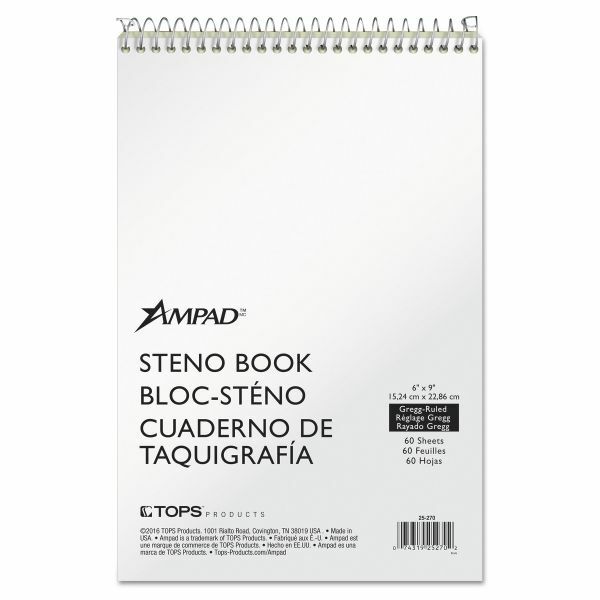 Chipboard in front and back protects your notes and offers convenient writing support. 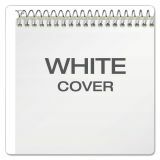 Sturdy cover protects pages and information. 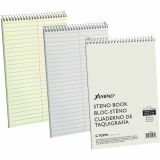 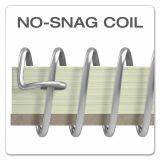 Top wire binding allows easy access to pages.